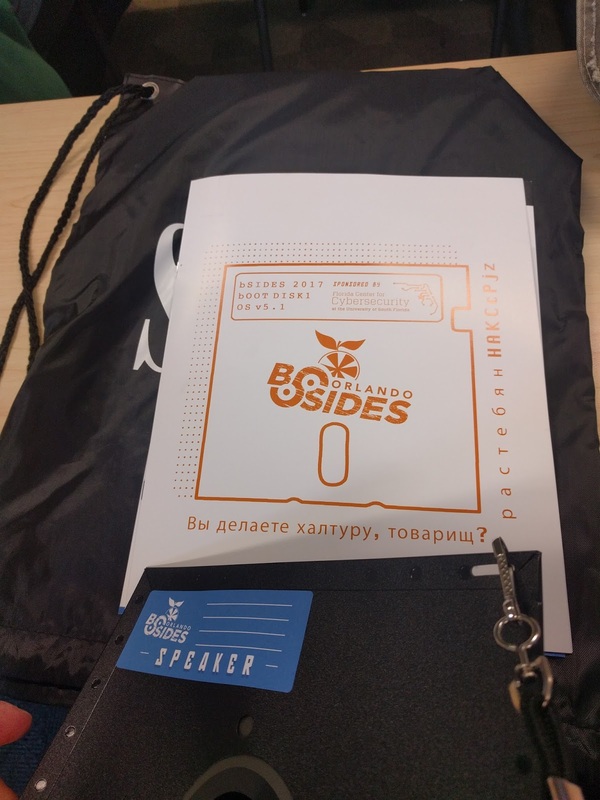 Saturday, April 8, 2017, the 5th Security BSides Orlando conference was held. This year there were several changes over past ones. The conference was but one day. The venue this year was Valencia College rather then University of Central Florida from the last two years. The new venue lead to a few minor changes in scheduling. As there was really no venue for lunch, pizza and soda was provided for participants. There were 3 tracks of talks. A workshop track. A CTF was held. 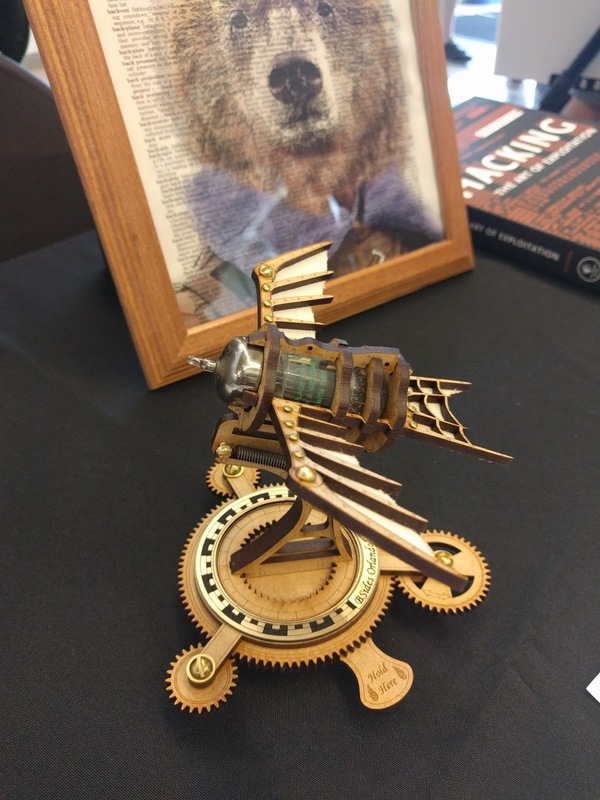 For the lockpick village this year, there were two additional challenges. One was to unlock a room, another a box. There were several vendors setup. And the conference wrapped up with a keynote speaker: Tara Wheeler. Overall a good conference. They broke registration records. About 700 registered, with over 500 in attendance. The location was nice. Am curious as to where the conference will be next year. This year the conference badge was floppy drives. 5.14in for attendees, vendors, and donors. 8in for presenters and staff. 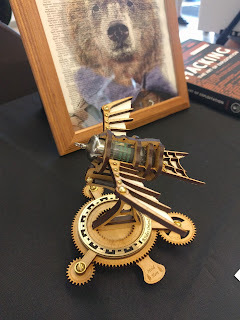 The presenter gift was a neat laser cut wood sculpture that actually moves! I spoke on the topic of IT Risk, aiming it at security professionals as an intro to the topic. I'll be posting on some of the sources and resources I used in the presentation in the next few days. I have some ideas for a couple of presentations. Will see what I propose for next year.